Simulation games are the category of games that allow you to control your favorite aircraft, bus, train, car, and more. They give you hands-on experience as a driver. Although publishers develop simulation games just for fun, you get an idea about driving while playing them. Because mobiles launched these days have decent hardware, it is possible to play all types of 3D Android Simulator games which you can play on PC. As a kid, I remember playing the 3D Microsoft flight simulator on a PC with Pentium CPU and 512 MB RAM. My mobile phone has 1GB RAM and a quad-core SD processor. Hence, I can enjoy game similar to flight simulator on the phone. Tap the Fly button to get started as a pilot. Once you do so, the game shows your plane on the track, the current speed, radar, and a control to accelerate. You must drag the accelerator slider upwards to increase the speed of the airplane. Dragging the slider downwards decreases the speed. Once the plan starts moving, you have to tilt the mobile upward/downward to control its vertical motion. The Flight Pilot Simulator 3D game shows checkpoints which the plane should pass through. To control your plane’s horizontal movement, you must tilt your mobile downwards/upwards sideways. The game allows you to take airplane landing classes. Once you complete a class/task, you’ll earn virtual gold coins. You can use these coins to unlock new planes. This Android simulation game has excellent graphics. It has many levels. 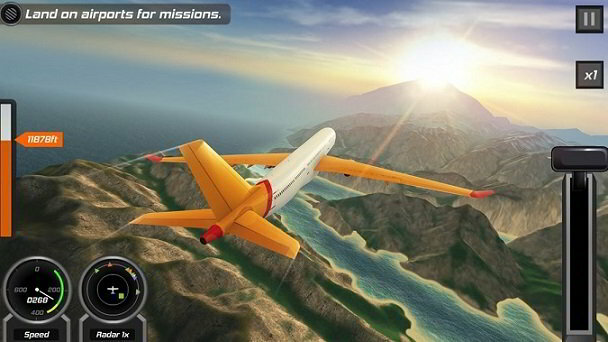 You can play this flight simulation game on devices running on Android 2.3 OS. Bus Simulator is a free game for the users who love traveling in a bus. The game supports three modes of gameplay, career, free ride and multiplayer. Once you choose a mode, you’ll be prompted to choose a bus and location. Controls will be handed over to you after the game starts. Bus Simulator offers driver view to the player. While driving the bus, you can see its speed, distance traveled and options to drive to the left, right, blow the horn, apply break, etc. While driving, you’ll come across vehicles and various obstacles. Like the 1st game i.e. 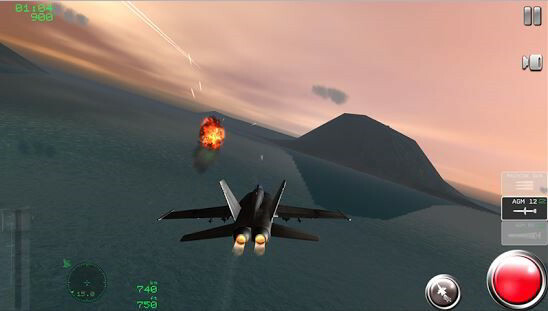 Flight Simulator, the game rewards you points for each completed task. If you hit the bus with any object, you’ll lose some points. 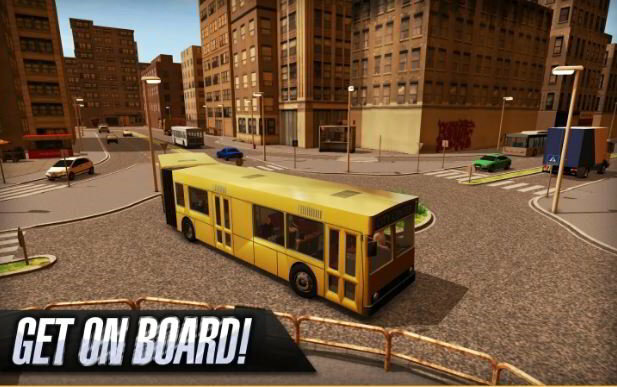 Bus Simulator Android game includes checkpoints. You must drive Bus to the checkpoint and wait for the passengers to enter the bus. The Bus Simulator game for Android has high-quality animations. It has 3D graphics. 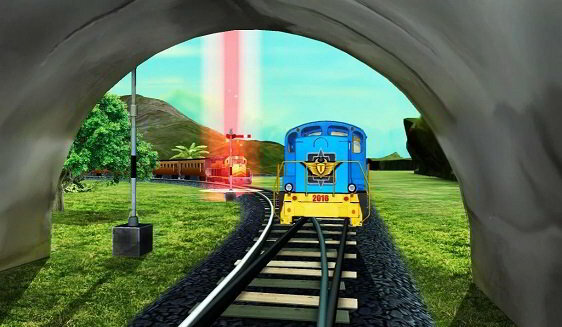 The game which fulfills your dream of becoming a train driver is TS 2016. Like other Android simulation games we’ve shared in this article, the game asks users to choose their favorite train. Once you chose a train, TS will show a map along with checkpoints. The game shows the time the train should take to reach the destination station, speed limit, and the points you’ll earn after completing the task. It has the option to change the camera view. It provides two controls, a button to start the train and slider to increase/decrease its speed. To alert the passengers that the train has arrived, a button to blow the train’s horn accompanies the controls. The Train Simulator game has nice graphics. It has several levels, interesting tasks, and maps of various locations. Want to know how to feels like while flying a jet fighter laden with the latest ammunition? If yes, then download and install Air Navy Fighters Lite Simulation game. The free version of ANFL provides lets you play a campaign with the below seven game levels. Ground attacks, peak hits, battleships. Once you choose your preferred level, tap on the play button to stay the game. Before the start of each level, the computer/virtual narrator briefs you about the mission. Air Navy Fighters Lite has easy to use controls. It is an enjoyable Android simulation game with cool graphics. Conclusion: If your parents or friends are asking you to give up your dream of becoming a train driver, a pilot, or a bus driver, don’t be disappointed. Just download any game you like from the above list and pursue your passion.